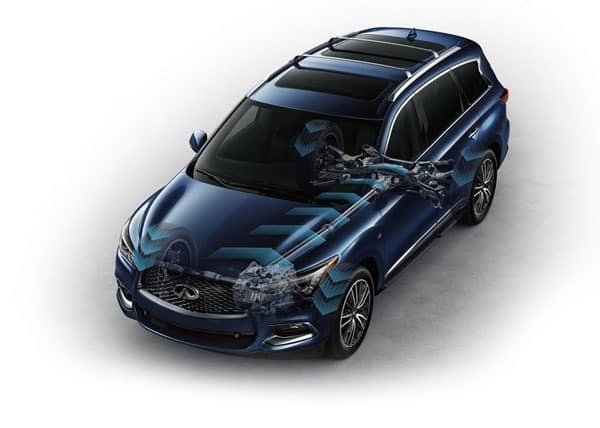 The 2019 INFINITI QX60 performance exemplifies the best of modern engineering. This crossover produces serious power from its V6 engine and available Intelligent All-Wheel Drive System, yet it possesses incredible fuel efficiency with help from its Continuously Variable Transmission. Add in cutting-edge technology features and dashing good looks, and it’s clear that the new INFINITI crossover is in a league of its own! Take a look at the latest INFINITI QX60 specs with INFINITI of Naperville, and then get behind the wheel for a test drive. 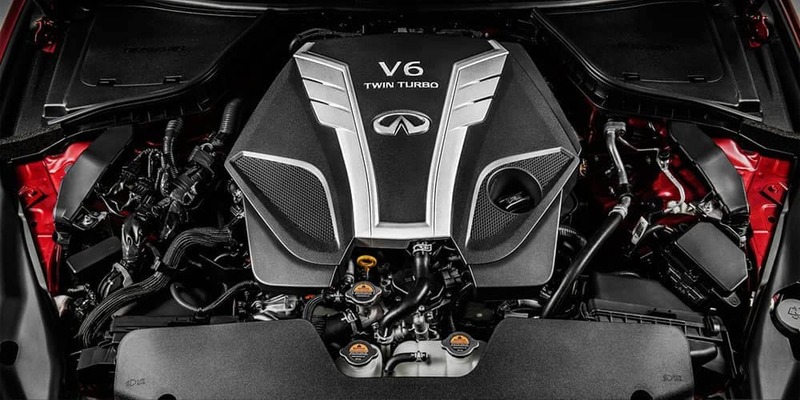 The INFINITI QX60 specs begin with an outstanding engine. The 3.5L V6 engine roars with 295 hp, delivering explosiveness and strength with every push of the pedal. Not only is this V6 lightning-fast and powerful, but it’s also a fantastic pairing with the ultra-efficient Continuously Variable Transmission. The CVT system optimizes your performance automatically, so you can enjoy maximum fuel economy without lifting a finger. But, it also includes a manual shift mode for those days when you want a little extra control. When you select your new INFINITI, you have plenty of options to explore. The standard QX60 Pure and QX60 Luxe included standard front-wheel drive, which provides great handling and terrific fuel economy for everyday driving. But if you need a little extra help to get through those brutal Chicago winters, then consider the QX60 Pure AWD and QX60 Luxe AWD. These models are equipped with Intelligent All-Wheel Drive, which monitors everything from throttle position to speed at all times. When road conditions are less than ideal, the vehicle diverts up to half its power to the rear wheels to boost traction. During normal road conditions, the power is sent to the front wheels to optimize efficiency. INFINITI technology gives you the best of both worlds. Take a Test Drive at INFINITI of Naperville! The best way to appreciate the 2019 INFINITI QX60 performance is to get behind the wheel for yourself! 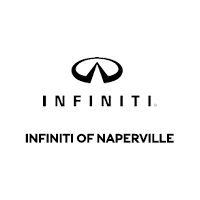 The new INFINITI models are waiting for your test drive at INFINITI of Naperville, serving the Chicago and Lisle areas, so don’t hesitate to drop by! Want to learn more about the QX60, like about its interior? Find out why this crossover made the CarGuru’s “Best Used Cars List”.